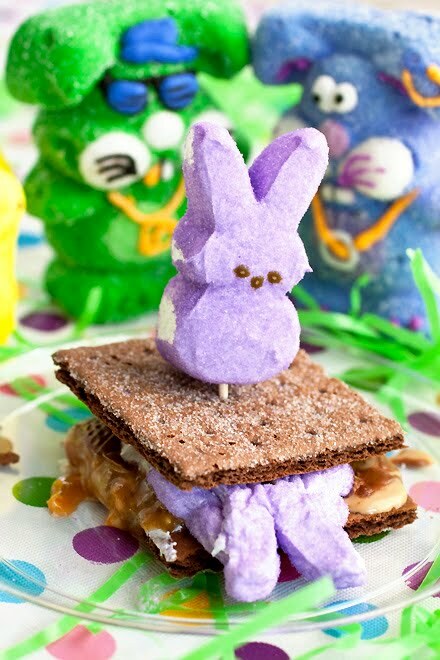 During the course of creation of Peep Bunnies, sometimes something goes terribly wrong. The Noble Face Stamper shifts slightly out of alignment and the faces of those newly born peeps end up stamped on their neck, leaving them disfigured for life. When this happens, young Peeps, just like children, can often be cruel. In sugar fluff school, the “perfect Peeps” tease those sad little sugar bunnies until they lose their self-esteem and drop out. But sometimes, those misaligned peeps take revenge. This is where the second story of Beevil the Evil begins. “I dream of humans devouring every perfect Peep on the planet!” Beevil’s shout echoed through Polka Dot Field as he danced over the dead body of Fluffy, the town marshmallow-ball star. 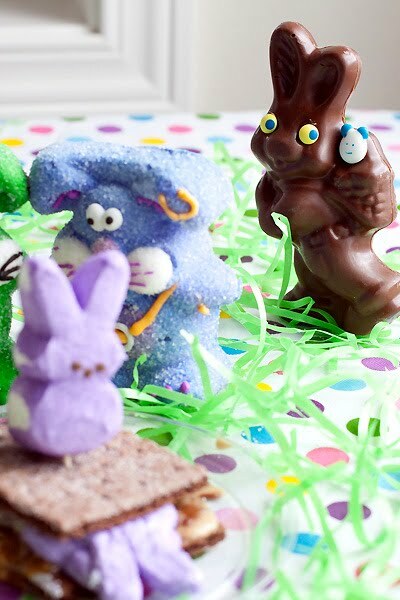 D. Bunny and Boyd, Beevil’s trusty goons stood silently behind their evil boss watching as Fluffy became flatter and flatter. “Well Boss, at least he can’t tease you anymore. I never thought he’d shut up about yo ur face. Not that there’s anything wrong with your face of course.” Backpedaled D. Bunny. “Its true Boyd, few humans will be able to keep from devouring my latest torture device. 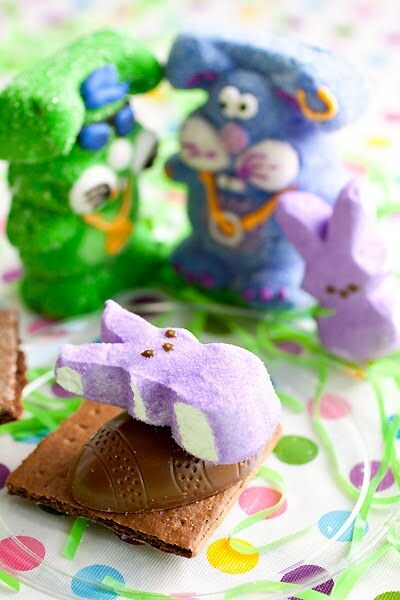 Chocolate death platforms, gooey Snickers Eggs and one newly hideous blown up Fluffy stuffed into the center. It’s my natural born genius!” Laughed Beevil evilly. At that moment, Fleet the town mail-bunny happened to be racing by with the morning letters. Now, it’s a good thing Fleet is so fast, because he took one look at what Beevil was up to and recognized he’d better hightail it out of there! 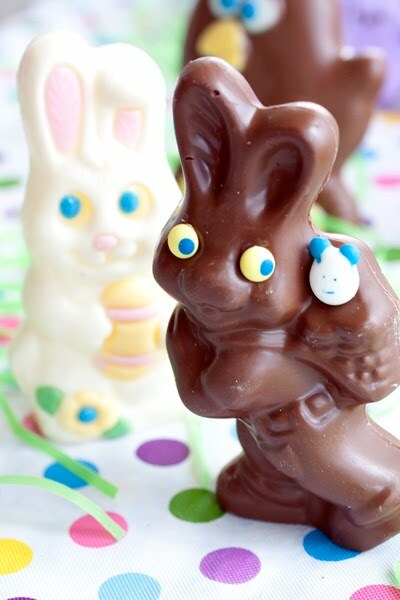 In fact, Fleet ran so quickly he only stopped when Sergeant Hollow waved his fragile white chocolate bunny arms for him to stop, before they both ended up as shattered bunnies. “Whoa. Slow down there Fleet. What’s got you so hare panicked? “It’s Beevil. I think they’ve got Fluffy! I think they’ve killed Fluffy!” gasped Fleet as he stumbled over his words. “Oh right, that was pretty insensitive of me. We better gather the Peep Platoon and find Fluffy before the humans get to him.” Said Sergeant Hollow. Meanwhile, Beevil was tying up Fluffy’s death platform. He needed to get Fluffy into position close to where the sugar addicted human child liked to play. Without warning, D. Bunny and Boyd began arguing about a noise coming over the hill. “Uh, um Boss? Mr. Evil Sir? Shouldn’t we get out of here before that Peep Platoon across the field catches us? It looks like they’re pretty mad and there sure is a lot of them.” Stammered Boyd. “Get them!” Shouted Sergeant Hollow. 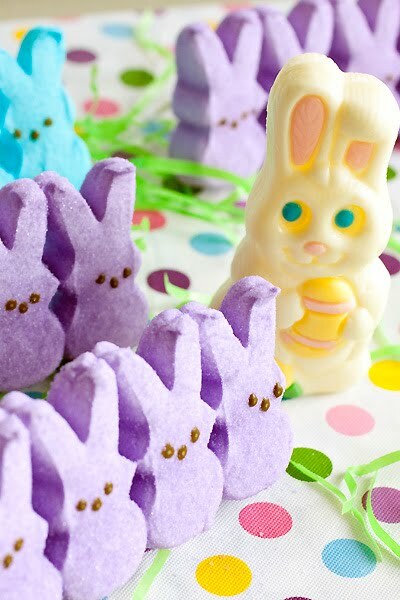 But the Peep Platoon became confused and ran the wrong way, allowing Beevil to escape. 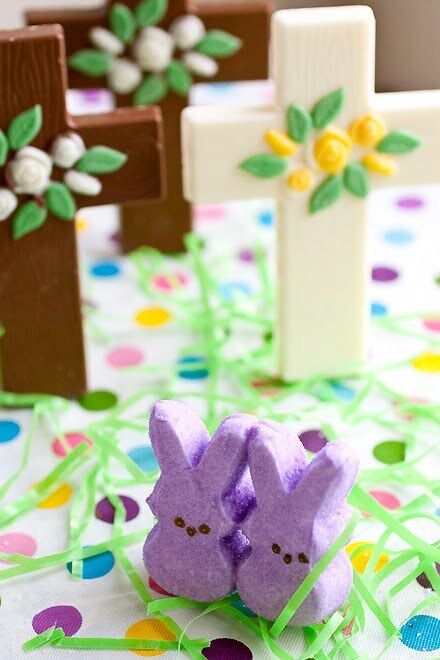 And so the Peeps and chocolate bunnies raised enough money to give Fluffy a nice burial. Although many thought he really did deserved to be eaten, and after a time life returned mostly to normal. Though Sergeant Hollow’s still looking for a marshmallow-ball star replacement. As for Beevil, he’s lying low evilly dreaming up his next torture device recipe. Break the death platform in half. Place it on a microwave plate. Put the Snickers Egg on the graham cracker and top with one defiant Peep Bunny. Blow said peep bunny up in the microwave until you are happy. Laugh evilly. Top with second half of death platform. Dance around on death platform. Eat. By Laura Flowers @ The Cooking Photographer. Written for friend Mari Lindsley, who requested Beevil come back for another story. AAAAHHH...i need one of these IMMEDIATELY. Hahahaha my daughter would love that. I would be really would be scared of her if she had it :D.
Can I tel you that you've officially made my night? Cause you have. 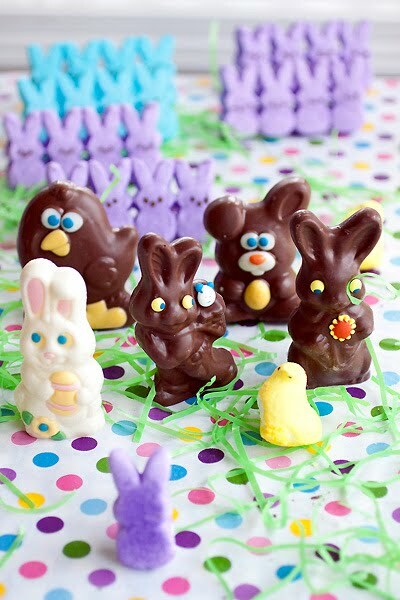 I think you had WAY too much fun with your peeps tonight. :) And I had WAY too much fun reading about it. :) My kids always loved putting peeps into the microwave and watching them blow up. 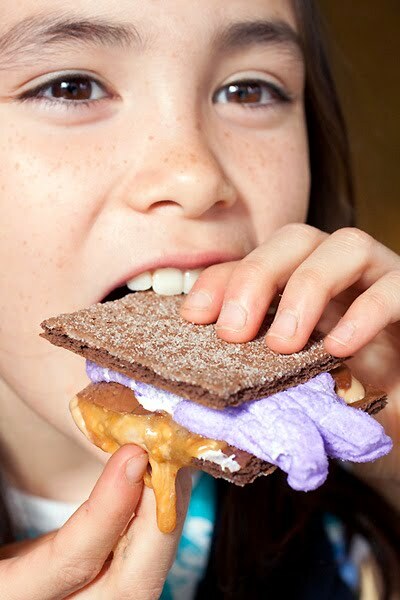 Graham crackers were usually involved but I don't think they ever described them as being death platforms. Too funny! ma sono bellissimi!Tanti auguri di Buona Pasqua a te a tutta la tua famiglia!!!!!!! Betty I did have fun. Ooo and I ate too much candy! OMG....I LOVE IT!!!! You are hilarious! I love it, thank you Laura! You make me laugh. LOL you are such a hoot, my dear! And the latest Beevil recipe is simply genius. 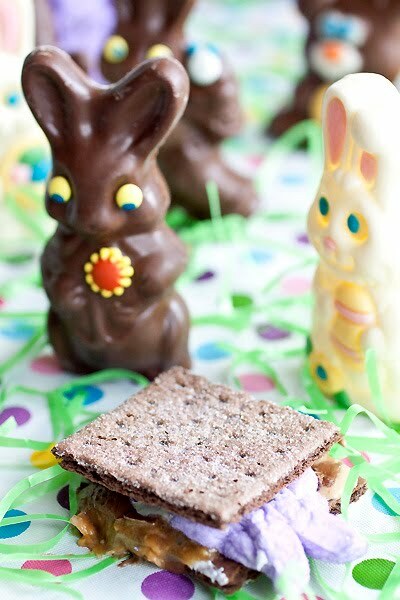 Bet the Snickers egg makes the common s'more so muchyummier. A must try. I am sure the children would love to listed to stories while indulging themselves with the sweetness of the dish..
My name is Ron and I'm your newest follower. I invite you to visit my blog and become a follower if you want too. hahahahaha oh my gosh, those are the cutest things I've ever seen!